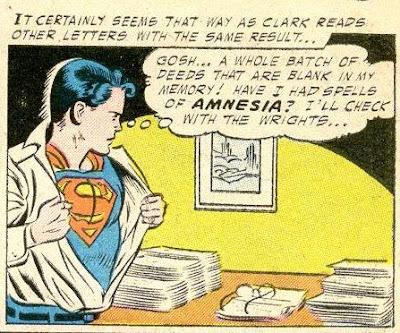 It's easy to forget about Superboy from the Silver Age; the current Superman apparently never was Superboy, having only gained his powers in manhood. 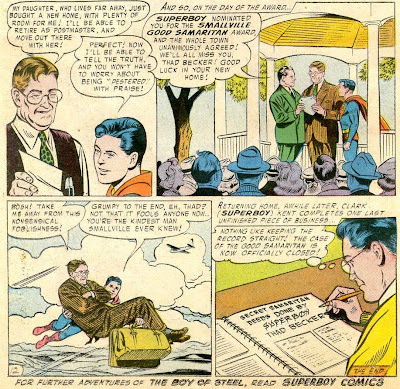 How much of this is due to the longstanding suits over the rights to Superboy can only be guessed, but certainly Superboy was a major DC character of the Silver Age; in fact it is quite easy to argue that he was as important in that era as Batman. 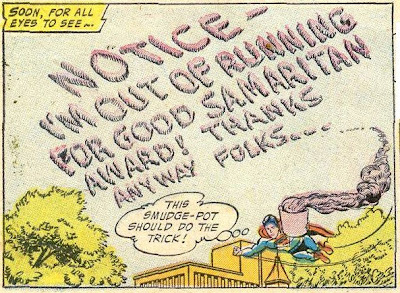 He, like Superman and Batman, headlined one of DC's three monthly anthology magazines. 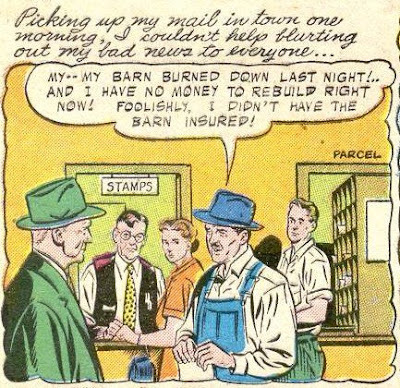 He also had his own magazine, which wildly outpaced Batman's in sales, except during the Batmania years. To give you an idea, here is where Superboy ranked in sales among all comics starting with 1960: 4, 3, 2, X, X, 2, 3, 3, 4, 3. The two years shown as X (1963 and 1964), DC did not report sales but it is not hard to see that the numbers missing are 2 and 2; Superboy outsold the #3 book (Lois Lane as it happens) by over 100,000 copies in both 1962 and 1965, the years bracketing the missing ones. Good characterization there. 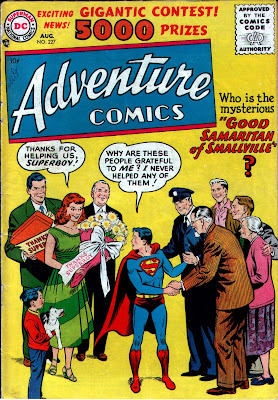 Since he is out of the running, Superboy is given all the letters nominating him for the award, and as shown on the cover, he is surprised when he finds that many people remember events which he knows did not involve him. Comments: Cute semi-Scrooge story; to be honest I did not notice the postmaster in the background of those shots (which were 3 pages apart in the story). Art by Curt Swan is solid but not special; I am one of those folks who think that Swan got better--much better--as he aged. When I feel the need to shower? And not to belabor the obvious, but who would see him naked in the middle of the ocean? The crooks ask him to show them how he responds to an emergency on a nearby boat. 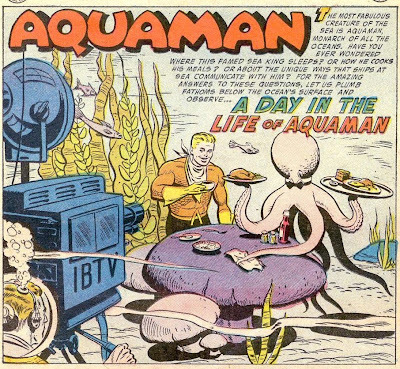 It turns out that Aquaman has a lantern fish following every boat in the ocean. If there is trouble, the skipper signals the lantern fish, who signals a sea hare who signals a flying fish who signals a giant boxing shrimp, who signals A-man. Whew! 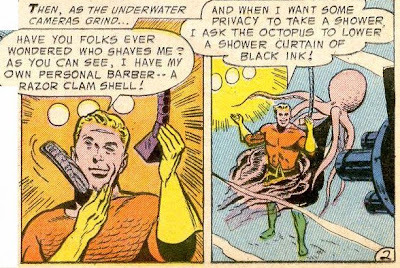 With this knowledge, the crooks can pull their job, as they have a man ready with a net to catch the flying fish and prevent the message from reaching Aquaman. But he foils the plot and explains that he suspected something from the first as their camera exuded bubbles of air when they were filming him, revealing that there was no actual film in the camera. And he has a seagull acting as backup if any of the links in the alert system fail. Comments: Silly, but entertaining as heck. Ramona Fradon does her usual solid job on the artwork. Obviously this is a nod to collectible trading cards which were very popular in the Silver Age. I can remember buying card sets in the early-mid 1960s that featured such themes as astronauts, good guys and bad guys (from the old west), Lost In Space, and Batman. And of course trading to get the rare ones was a big pastime; I remember getting something like 125 baseball cards for one Moe Drabowsky card. Anyway, the fad has caught the attention of that older fella getting out of the car, and he's quite willing to pay top dollar to get some of the rarer cards in the set. 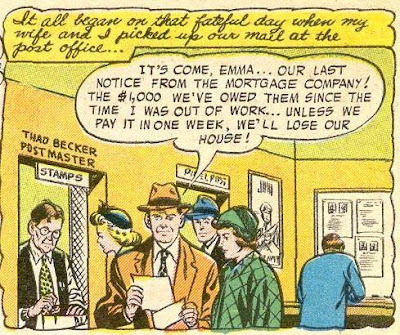 He gets the kid to part with his "Flight of Peril" card for $5 and a toy, but the gal who has "Green Arrow Captures Diamond Thief" is made of sterner stuff and won't trade for anything. But the old man is determined, and one of his henchmen burgles the girl's house to get the card that night. 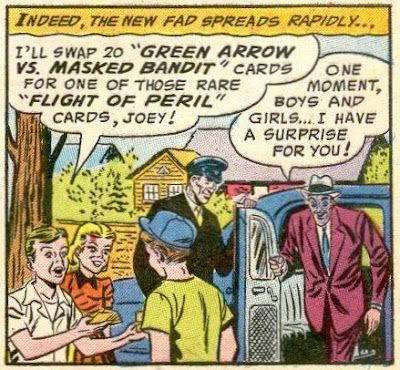 It turns out however, that Green Arrow and Speedy had not intended for those cards to be particularly rare; it appears that somebody is cornering the market on them. Unfortunately the plates and original photos for those particular cards were destroyed in a recent fire. So Green Arrow decides to duplicate the pictures with the aide of a photographer. 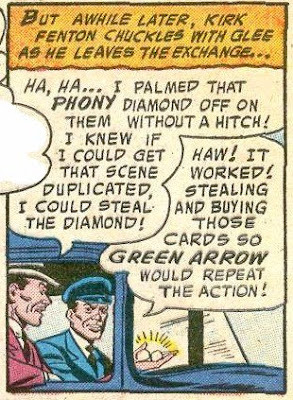 It turns out that Green Arrow was suspicious all along, and so he intentionally cut the diamond a little off-center and knew something was wrong when the crook gave him two perfect halves. Comments: Excellent, well-executed premise for a story, with art by longtime GA artist, George Papp.